Time to review the famous Angry Birds. 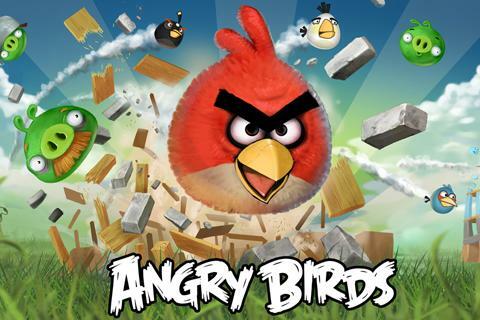 Angry Birds as you may know is one of the most popular apps on the App Store. You use your birds which vary in size shape and function, and slingshot them at a fortress which also varies with size, shape and building material. As you progress you get harder and harder puzzles which look impossible but you still defeat them – god knows how? It may be because you eventually end up spending so much time on it! This fun addicting game is only £0.69! Minecraft Pocket Edition has finally come to iPhones, iPods and iPads. 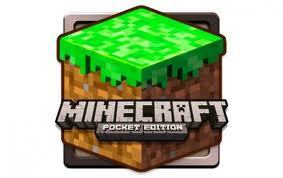 Yes Minecraft has come to Apple! A listing on the New Zealand Itunes Store shows the game to be available for $9.99 (NZ Dollar) which is about $6.99 (US Dollar), that’s about the same price as the Android Version. 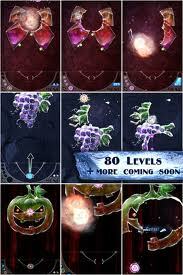 The game will be compatible with any device running iOS 4.3 or higher. unfortunately the specifications are to high for my first generation iPod touch! According to the description the game will allow players to ‘move beyond the limits of your computer and play Minecraft everywhere you go’. The game is unfortunately limited to Creative mode with only 36 kinds of blocks for building with. It will still randomly generate worlds for you and using WI-Fi players can invite others to their world! The game is looks lacking in areas for there are less blocks to play with and no survival mode. However it is new and will obviously be updated, it’s still a long way to go! 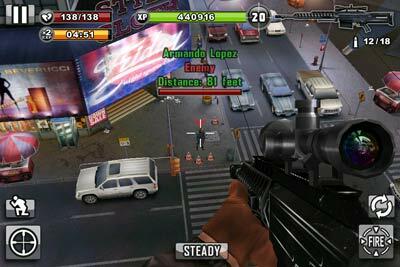 You are the Assassin in this free game, taking down mobsters, criminals and generally bad guys. You meet your array of shady contacts, all have a price but all reap rewards. Select your weapon form 20 distinctive sniper rifles, hand guns, assault rifles, submachine guns and even tranquilizers. Spot your target, zoom in, breath in and take the shot, all with this awesome action shooter. You can go for headshots for extra cash and XP but, there is a time limit so don’t spend all day aiming. You’re job could be a simple shot or an ambush! With the vast amount of customisable aspects of this game it is one of my favourite shooters on the App Store. 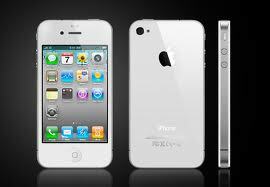 Yesterday saw Apple announce the iPhone 4S which will be released in the 14th of October. It has a ‘duel core A5 chip’ which is the most powerful iPhone processor ever this means it’s faster: surfing the web, going from app to app and for gaming. The new camera has an 8 megapixel revulsion, with a whole new face capture system. The camera also records better than previous iPhone. The new iOs 5 operating system has many features but probably one of the most popular things is the iMessage which allows you to message other iPhones for free! (like bbm on Blackberry). There is also a large increase to the pixels on the touch screen so high you won’t distinguish each pixel! More the reason to keep the screen clean!